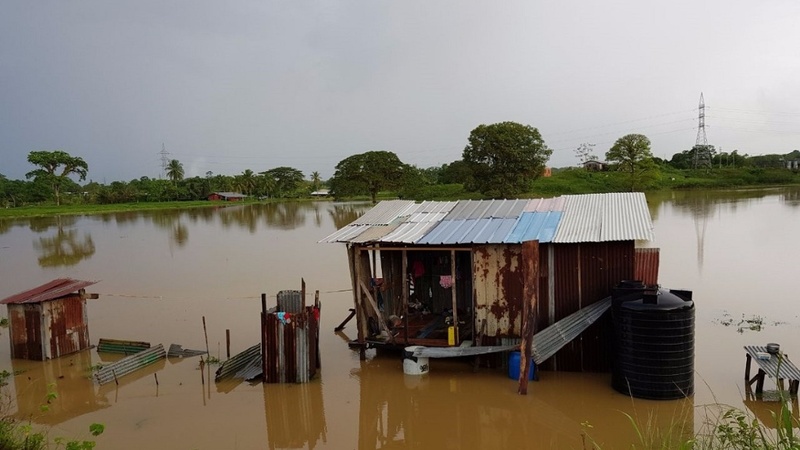 Several parts of Trinidad have been affected by flooding following heavy rains over the past two days. 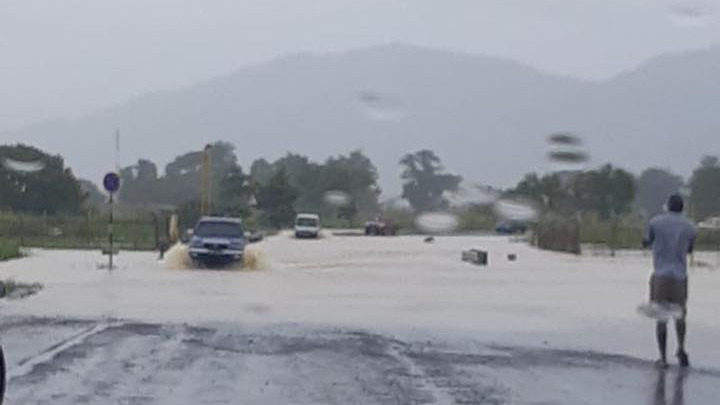 A number of roads remain impassable to low vehicles, and flood waters have affected nearly 600 households across East and South Trinidad. 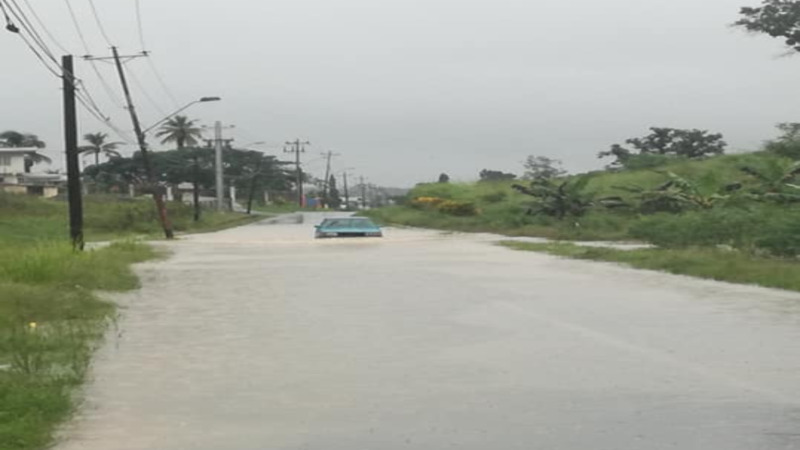 In an afternoon update on the flooding, the Ministry of Rural Development and Local Government said Disaster Management Units remain out in the field, monitoring, conducting initial damage assessments and delivering assistance to areas in need. 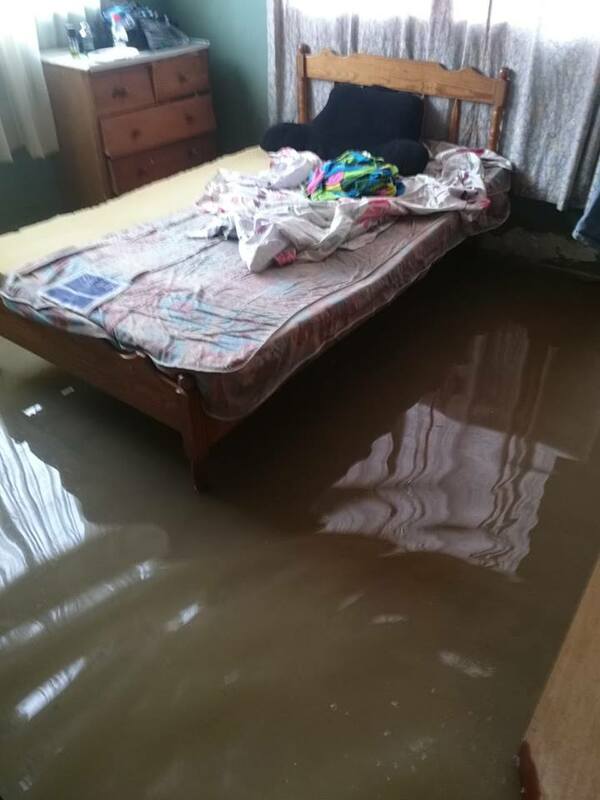 Reports of household flooding: Barrackpore West – Boodoo Trace, Mohasse Trace, Lalbeharry Trace, Rami Trace, Mahadeo Trace. There are 230 affected households at his time. Out of these 20 rescues were required and have been actioned. One shelter is activated at the Quinam/Penal Government Primary School, and is currently servicing six affected persons. 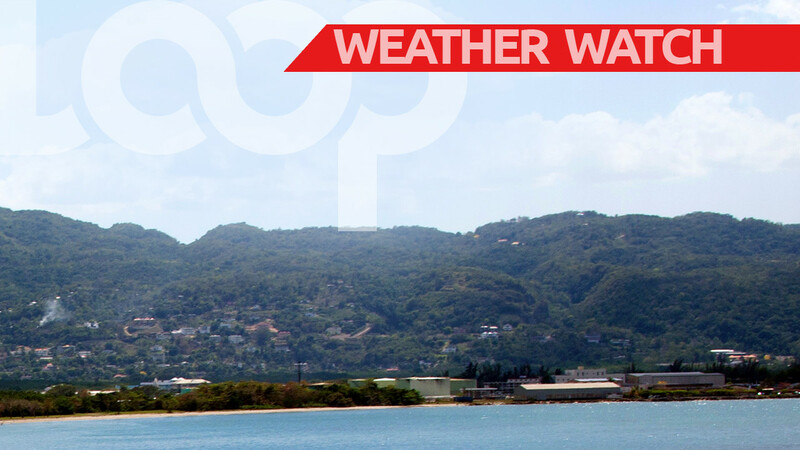 Reports of household flooding: Siparia, Woodland, San Francique, Fyzabad, Silver Stream, South Oropouche. Landslide reported at Queen Street, Siparia. At this time, flood water remains high on the Woodland Main Road ranging between two and four feet. Household flooding has been reported in the areas of El Carmen and Madras Road, with an estimated number of 309 households affected. No rescues have been requested or required at this time. Landslides reported on Riverside Road and in the vicinity of the Aripo Community Centre are receiving the attention of the Disaster Management Unit. Street Flooding in Rio Claro: Jairam Trace, Navet Village and parts of the Cunapo Southern Main Road. Water levels are approximately one foot deep on the roadways. Impassable Roads – Mayaro: Water levels have restricted vehicle access in the area of Cedar Grove. In Mafeking, flood waters are close to crossing the Main Road and appear to be rising. Household flooding reported in Poole Valley and water levels are gradually increasing. Household Flooding in Vega de Oropouche, North Oropouche, Foster Road, Picton Road Extension, La Siva. Thus far ten (10) reports of household flooding have been received and more are expected. The Sangre Grande Regional Corporation had the assistance of the Trinidad and Tobago Regiment last night to execute one evacuation. Along with the Trinidad and Tobago Fire Services, the DMU conducted one rescue of an infirmed person at Melajo. This person is now warded at the hospital. Impassable Roads: Oropouche River Road, St. Croix Road Extension, Kanhai Road North, Ramlal Trace, Gilbert Trace. DMU dispatched equipment to clear landslide at Kanhai Road South and Julien Trace in Platanite Project. DMU officers are currently conducting assessments in Barrackpore. Thus far they have received 10 reports of household flooding. Citizens are asked to continue taking the necessary measures to ensure personal safety and protect property. If emergency assistance is required, individuals may call the 24-hour Disaster Management Hotline for their respective Municipality.